Stocks opened higher on Wall Street, bolstered by strong earnings from some major U.S. corporations. The Dow Jones industrial average rose 77 points to 14,499 as of 10:26 a.m. ET. The Standard & Poor's 500 index advanced nine points to 1,555. 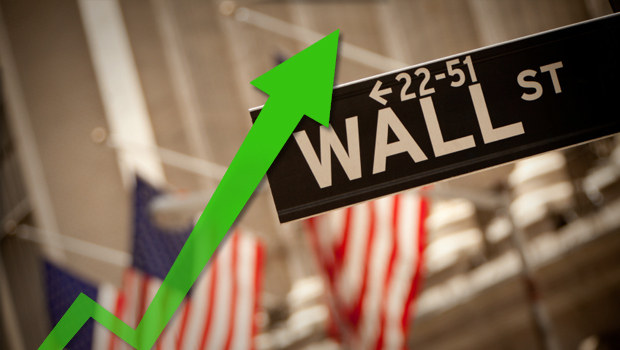 The Nasdaq composite gained 15 points to 3,237. Nike shares hit an all-time high, rising more than 10 percent in early trading, after it surprised Wall Street late Thursday with a 55 percent spike in net income for the quarter. Tiffany rose $2.57 to $70.46 after its fourth-quarter earnings beat predictions thanks to strong customer demand in Asia for its pricey baubles. Yet the S&P 500 appears to be headed for its second weekly decline of the year as a deadline looms for the Mediterranean nation of Cyprus to avoid an economic disaster. Cypriot lawmakers are expected to vote Friday on a raft of new measures they hope will qualify the country for a 10-billion euro lifeline from the European Union and the International Monetary Fund. Without a bailout, Cyprus could be forced out of the EU monetary block. The S&P 500 is down 0.7 percent for the week, paring its gain for the year to 8.7 percent. The Dow is down 0.3 percent on the week, trimming its advance for the year to 10.4 percent. Stocks have had a strong start to the year with the housing sector in recovery mode and with companies bringing more workers on board. Healthy profits for companies and continuing stimulus from the Federal Reserve have also boosted stock prices. The yield on the 10-year Treasury note rose from 1.91 percent to 1.93 percent. - Micron Technology rose 93 cents to $10.01 despite reporting a loss in its fiscal second-quarter later Thursday. The chipmaker said that revenue grew 3 percent, to $2.08 billion, better than analysts had expected. - Anacor Pharmaceuticals Inc. climbed $1.97 to $6.83 Friday, after the drug developer reported strong data from a mid-stage study of a potential chronic rash treatment.